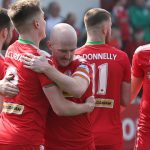 Ross Lavery struck in injury-time as Cliftonville completed a busy weekend of friendly action with a draw at Tolka Park. 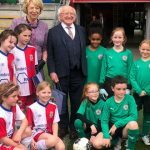 Shelbourne led through Dylan Grimes and saw Dayle Rooney’s second-half penalty saved by Brian Neeson before the Reds – less than 24 hours on from facing a Celtic XI in Scotland – had no fewer than FOUR spot-kick appeals of their own waved away. Just when the hosts looked set to claim victory, however, Lavery blasted through a crowded box to ensure it was honours even in Dublin. Rory Donnelly was first to threaten for Cliftonville but skied his attempt from 20 yards before Damien McNulty’s last-gasp challenge stopped Jordan Buckley opening the scoring at the other end. Buckley was instrumental in Shels making a 20th minute breakthrough when he drove the ball past Neeson for Grimes to convert despite protestations of offside from the visitors. Early in the second period, Conor McMenamin’s foul on Shane Farrell earned the hosts a penalty but Rooney’s attempt was superbly repelled by Neeson just before Declan Dunne took over between the posts for the Reds. 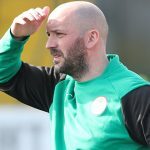 Garry Breen went close with a header and, with referee Paula Brady waving away no fewer than four penalty appeals for handball, Cliftonville’s hopes of avoiding defeat looked to have passed until Lavery slammed home from just outside the box in the closing seconds. 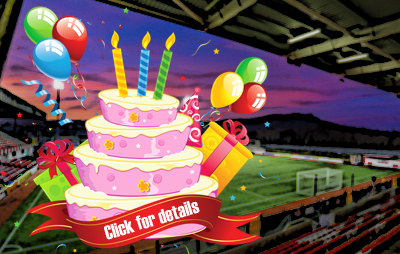 Cliftonville: Neeson, McGovern, Ives, R Curran, R Donnelly, Bagnall, Catney, Gormley, McMenamin, A Donnelly, McNulty. Subs: Dunne (for Neeson), Breen (for A Donnelly), Harney (for McNulty), C Curran (for Catney), Garrett (for Gormley), McDonald (for McGovern), Lavery (for R Curran), Crane (for Ives), McConnell (for R Donnelly), Trialist A (for McMenamin), Trialist B (for R Donnelly).